I can't believe January is already over! I hope 2019 doesn't fly by too fast. I would like to enjoy it. Anyway, I am here to talk about the three blogathons I have signed up for! Let's get to them. 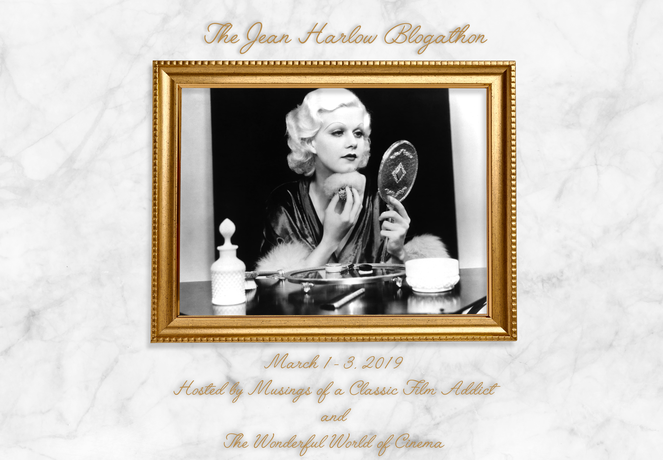 The first blogathon I will be talking about is The Jean Harlow Blogathon. 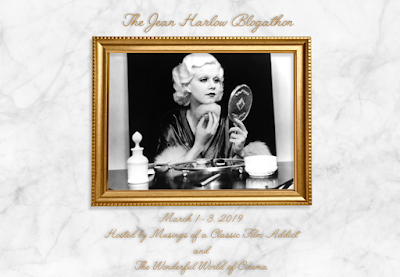 This blogathon will be taking place between March 1st - 3rd. This event will be hosted by The Wonderful World of Cinema and Musings of a Classic Film Addict. I will be talking about a movie I saw in the last weeks of FilmStruck called The Girl From Missouri. I haven't seen many Jean Harlow films but I am excited to celebrate what would have been her 108th birthday. This fellow Pisces deserves this awesome birthday tribute! The next blogathon I will be talking about takes place at the end of March. It is called Mystery Mania and I am looking forward to it. This event is going to be hosted by Pop Culture Reverie and will take place between March 28th -31st. I will be talking about one of my favorite films, it's called You'll Find Out. It is an enjoyable musical mystery with a cast of interesting characters. I can't wait to talk about it! 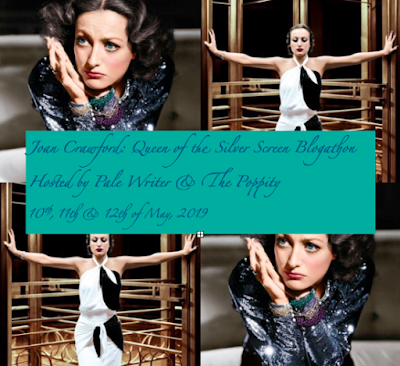 The third and final blogathon I will be talking about is the Joan Crawford: Queen of the Silver Screen blogathon. This event is going to be hosted by Pale Writer and Poppity Talks Classic Film. In my post I will be talking about the movie Goodbye, My Fancy. 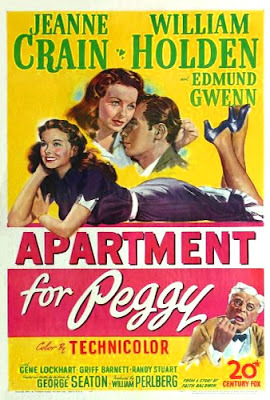 I have never seen it before, but I am looking forward to it, not only to see Joan but so I can see one of my favorite starlets, Virginia Gibson. That is all I need to say for now. Happy blogging! Hey. I just want to thank you for signing up for the Marathon Stars Blogathon. I would also like to invite you to join my annual blogathon that is taking place in April. Here is the link. Oh you're welcome and thanks for letting me join! Thank you so much! I put a comment on your post. I haven't seen that movie and would like to. Thanks again for the heads up! Hey Christine. How are you. I've announced another blogathon for June, and I'd love to invite you to join in. Here is the link.